In this paper we deal with the restricted Block (or Container) Relocation Problem. We present a polynomial time algorithm to calculate a new lower bound for the problem. 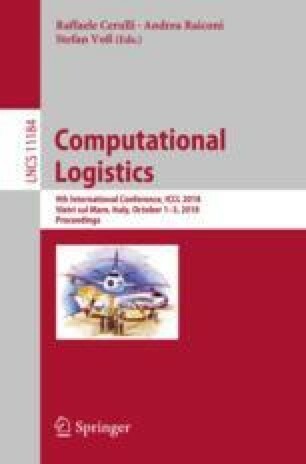 The authors have been partially supported by Ministry of Instruction University and Research (MIUR) with the program PRIN 2015, project “SPORT - Smart PORt Terminals”, code 2015XAPRKF; project “Nonlinear and Combinatorial Aspects of Complex Networks”, code 2015B5F27W; project “Scheduling cuts: new optimization models and algorithms for cutting, packing and nesting in manufacturing processes”, code 20153TXRX9.